Monday 13 October 2014 NHS workers (including the Royal College of Midwives, striking for the first time) will be on strike from 7am to 11am. 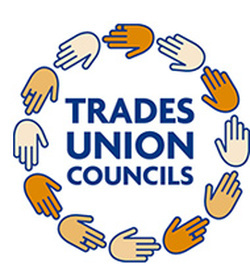 Wednesday 15 October 2014 civil servants will strike over attacks on their pay and conditions. 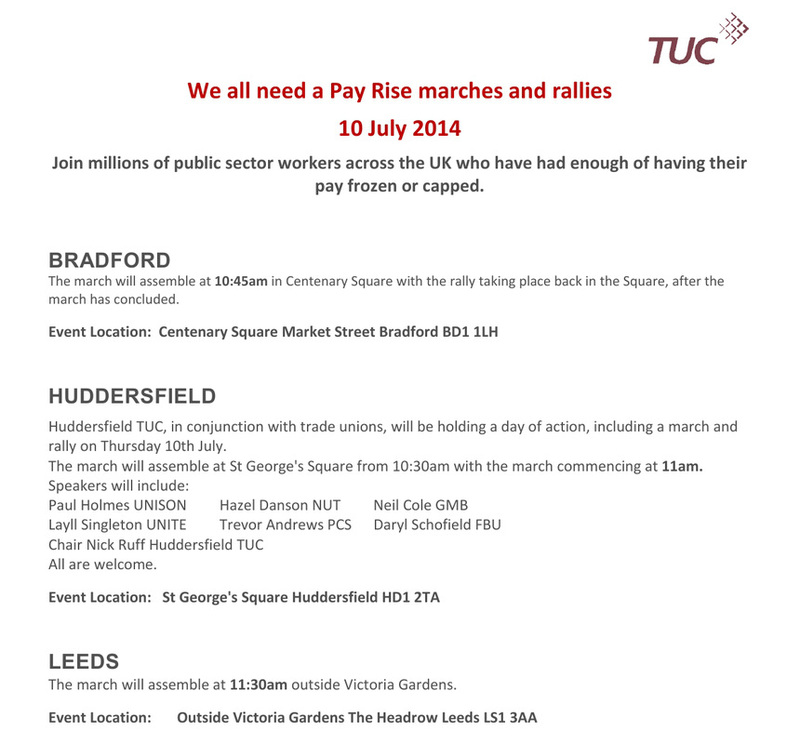 Join the national Demonstration against Austerity on the coach from Calderdale with pick-up points in Todmorden, Hebden Bridge, Mytholmroyd, Halifax and Bradford. 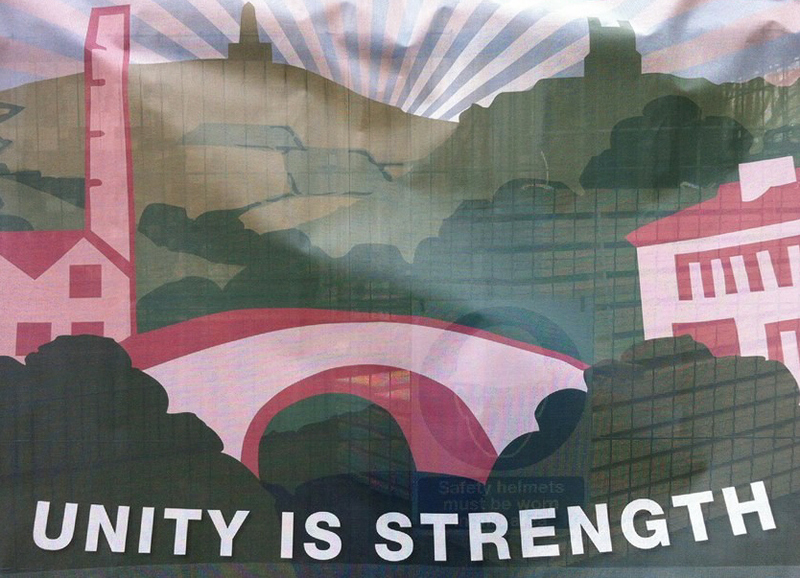 Help with leafleting Saturday 22 March - meet outside McDonalds Halifax town centre 11:30, then 13:00 St George Square Hebden Bridge. 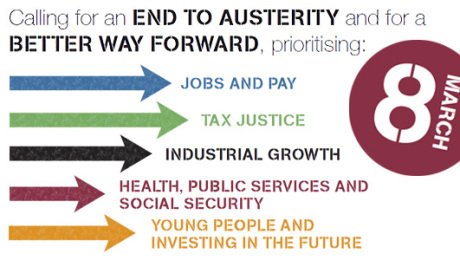 Stand Up for Education Leaflet. 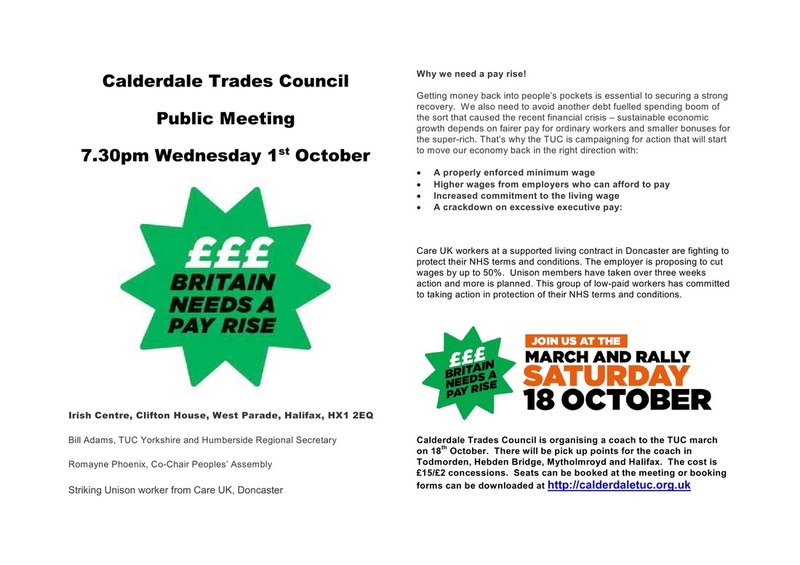 Around 100 people attended Calderdale Trades Council's Miners' Strike public meeting. Jean Gittins spoke warmly of how 84-85 were the best year of her life, Mark Metcalf detailed current developments in the struggle around Orgreave, John Dunn gave a barnstorming, and at times brilliant, account of the strike and received rapturous applause throughout and Ken Capstick passionately, and with great skill, outlined the political and social reasons for the strike and how even today it is probably too early to say what its real impact might be. Amongst the audience was a former police officer who spoke from the floor of how he refused to be sent to Orgreave by Greater Manchester Police. There was a collection for Orgreave Truth and Justice Campaign which raised over £170. Thanks to Mark Metcalf for this report. There will be pick up points for the coach in Todmorden, Hebden Bridge and Halifax, leaving Todmorden at approximately 8am. Full details of pick up times and locations will be sent to everyone who books seats. The cost of each coach seat will be £5 / £2 concessions (donations over and above this will be welcome). All seats on the coach must be booked and paid for in advance. advance and BACS transfers would be preferable - please contact us for bank account details. If you wish to book seats on the coach, please download and fill in the Coach Booking form. Details of how you can return the form and pay are included on the form. 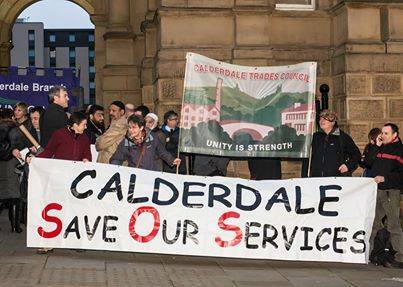 Demonstration against Tory and Lib Dem budget proposals before Calderdale Council Budget Meeting 24 February 2014. Day of Action against ATOS Demonstration at Halifax Job Centre 19 February 2014.